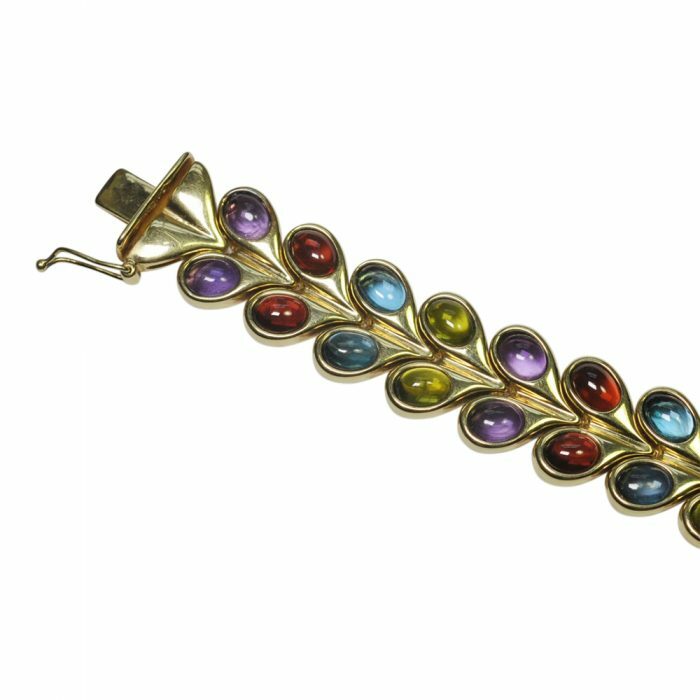 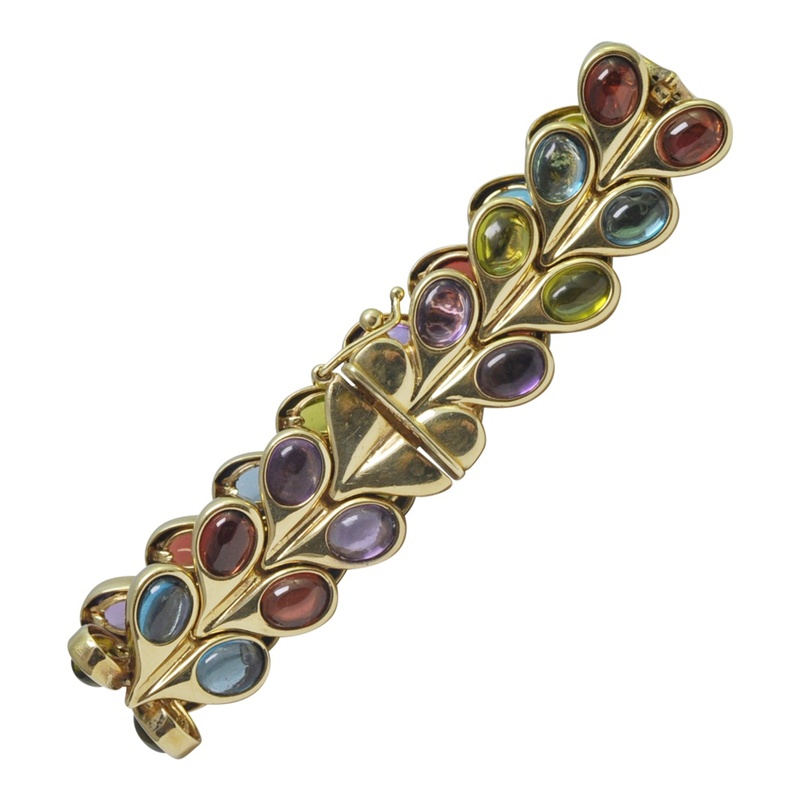 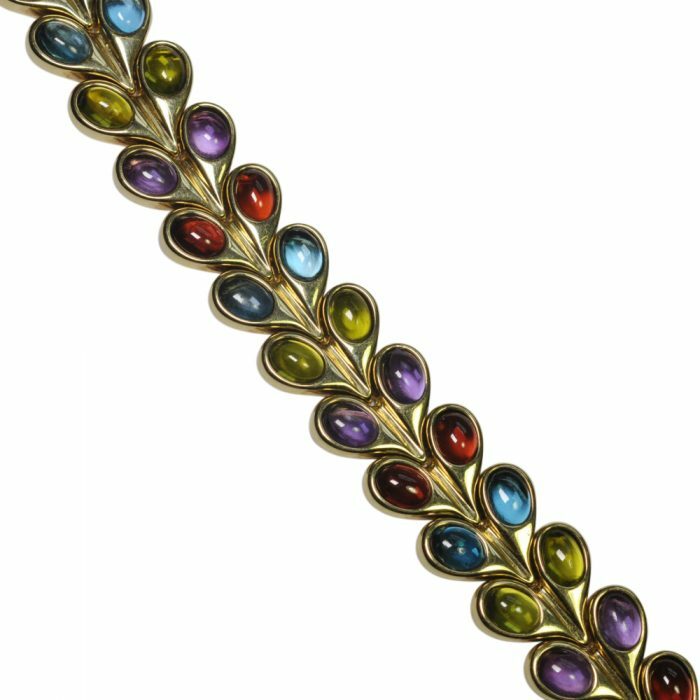 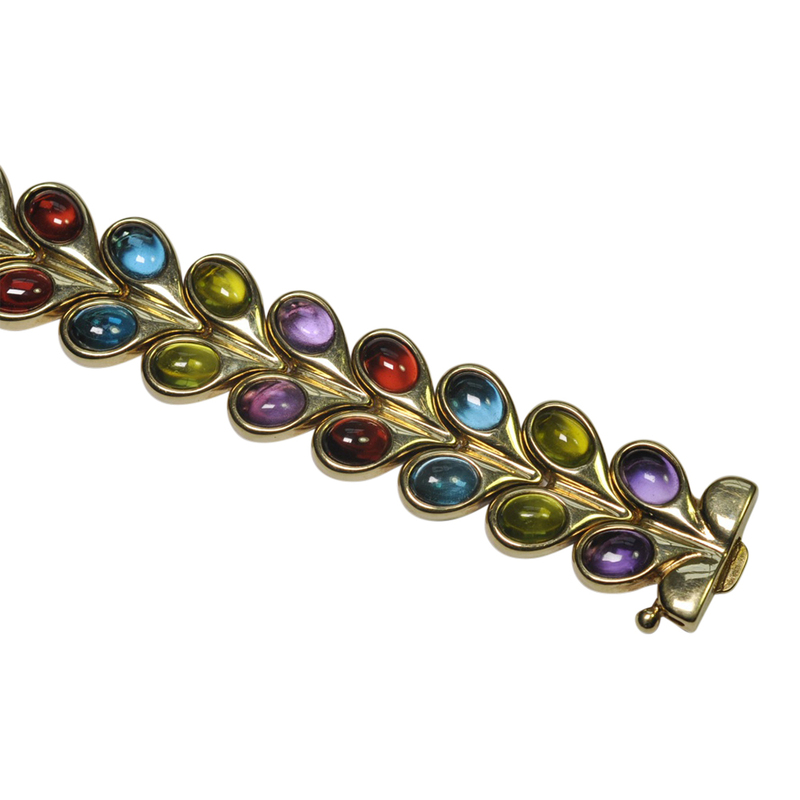 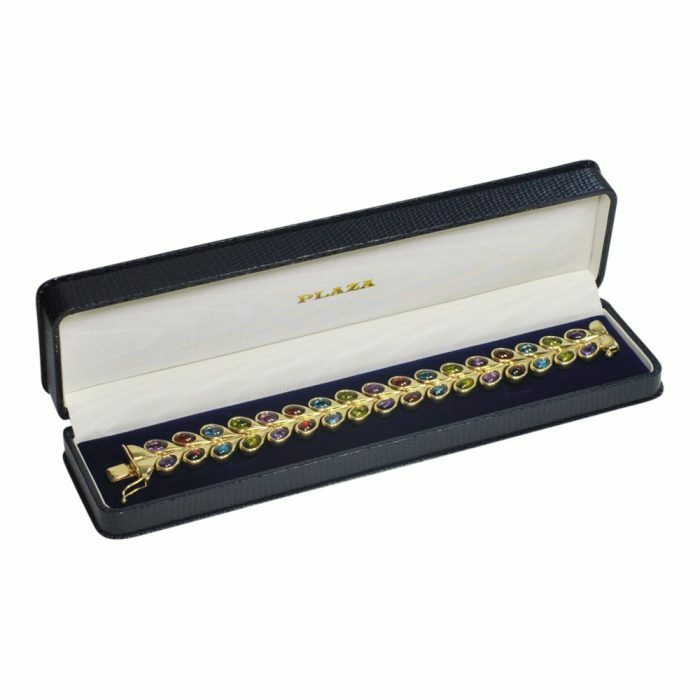 Stylish bracelet set with two rows of oval cabochons in amethyst, peridot, garnet and blue topaz in a rubover setting. 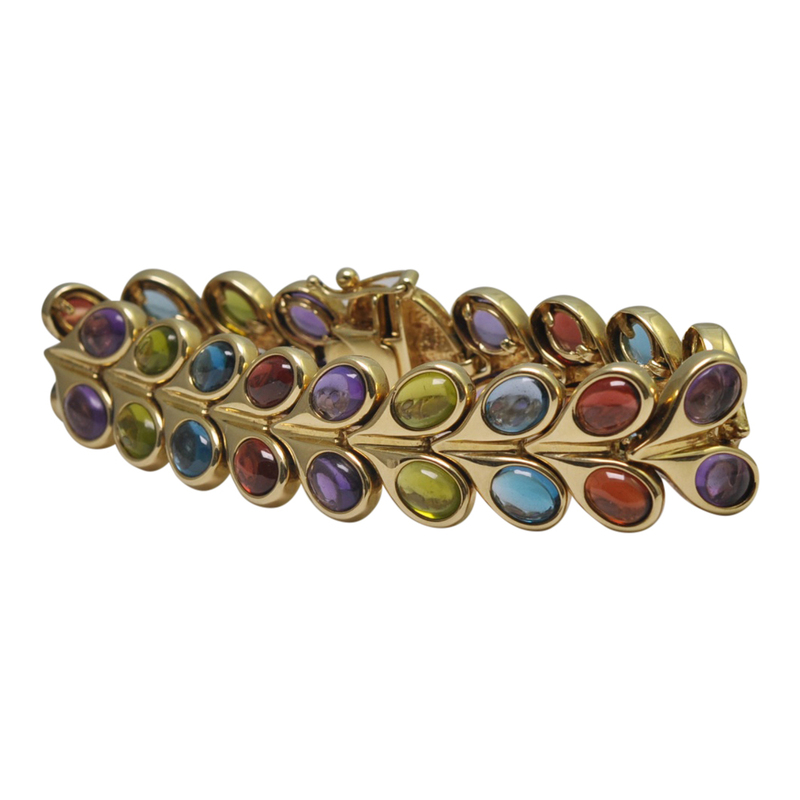 The stones are linked by hinges, making the bracelet supple and comfortable to wear. 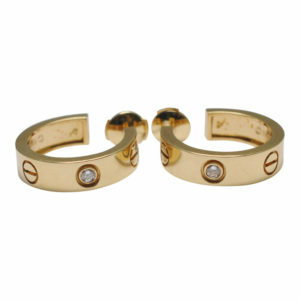 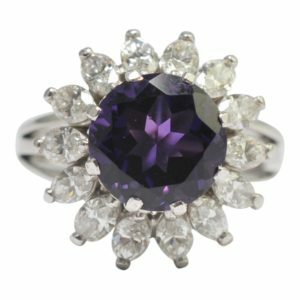 It closes with a Tongue clasp and is fitted with a Figure-of-Eight security lock. 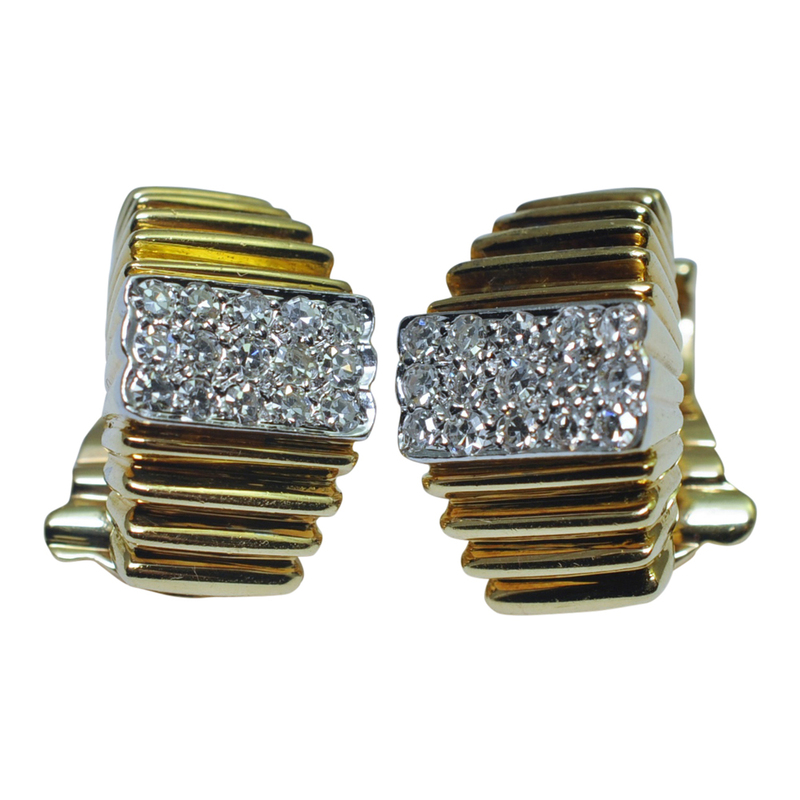 Tested as 14ct gold. 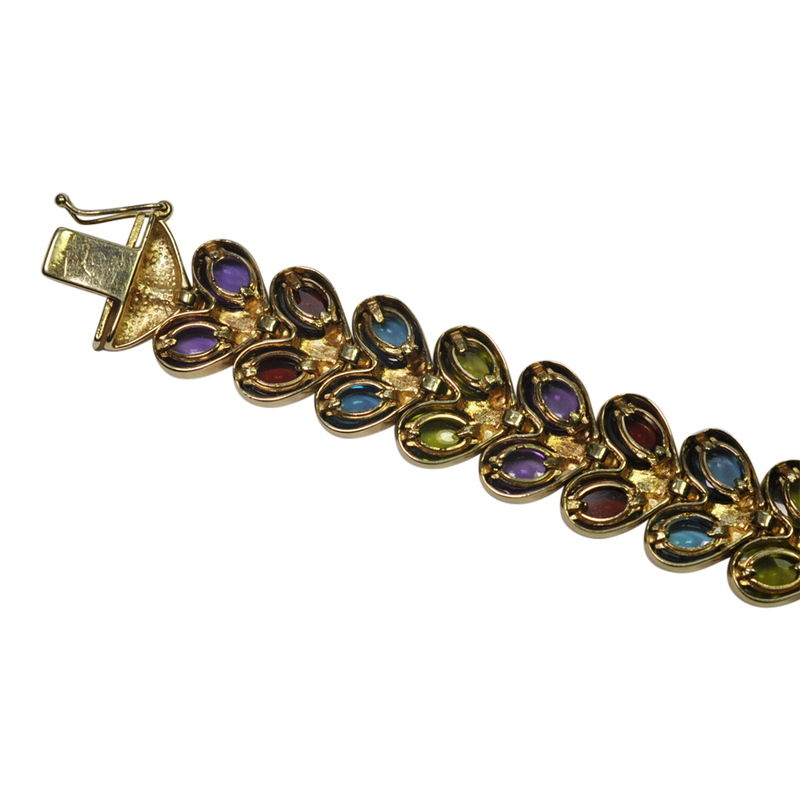 Weight 60.6gms; length 19cm, width 1.8cm. 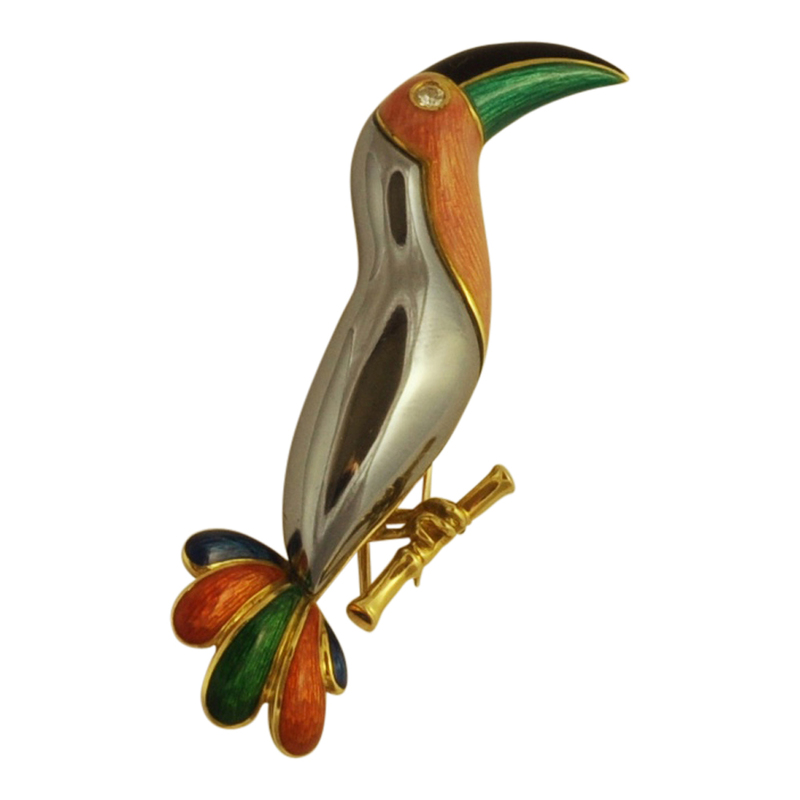 This lovely bracelet is in excellent condition and dates from the 1980s.